Lions’ heart-stopper: It was ideal! Cape Town - In the week in which Afriforum and Solidarity’s “official complaint against racial quotas...” with World Rugby all-but equated efforts to transform the sport as racial discrimination, it was ironic that the book of one of its fiercest advocates, Thando Manana, was launched a day later. Titled Being a Black Springbok, the Thando Manana Story, the book not only details a determined, colourful, charmed and consequently remarkable life Manana describes as having pulled himself up by the bootlaces, it also deals with two important things. The first is that in a sporting code littered with the broken dreams of black and would-be black Springboks, it almost acts as that exit interview SA Rugby never got around to doing with them to find out why it has been so difficult for black players to be regulars in the Bok team. The second thing the book –written by Kickoff editor and former Times Media sports writer Sibusiso Mjikeliso – deals with is also at the heart of why black players have traditionally struggled in the green and gold. 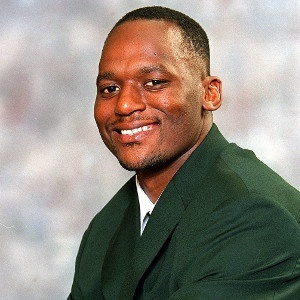 It is Manana’s refusal to be initiated as a Springbok in Buenos Aires in 2000, an incident which brought to sharp focus the fallacy of having players, senior or otherwise, regulate the culture of a South African team when they don’t understand the complexities of life outside their own race. During his career Manana, 38, played three games for the Boks and his provincial career played itself out with his native Eastern Province, Griquas and the Bulls, yet he is only remembered for refusing to be initiated, something he blames for not playing more for the Boks. To revisit it, Manana had already refused to be initiated – a ritual which includes being caned on the backside with a pool cue and drinking a vile alcoholic mix, which he said sometimes included sweat drained from players’ socks – at provincial level with both Eastern Province and Griquas on the grounds that as a Xhosa man he had already been initiated. “The way I viewed it was that if you took part, you were making a pathetic and desperate attempt to subscribe to Afrikaner norms – the same people who view rugby as an exclusively ‘Afrikaner sport’. What I was witnessing went against everything I held true as a man. The irony is that Manana’s stance had indirect support from two (English-speaking) Bok coaches, Nick Mallett and Jake White. Mallett had outlawed the practice on the grounds of it being “barbaric”, while White wrote in his book – In Black and White – “it raised an interesting dynamic in the Bok camp because it wasn’t an issue anybody had ever considered or had had to contend with”. Be that as it may, it would be wrong of this article to again reduce Manana’s life to one uncompromising night in a Buenos Aires hotel. Born in New Brighton Township in Port Elizabeth as an only child to parents who split up when he was young, Manana, apart from craving significance, seems to have spent a fair bit of his formative years looking for father figures to supplement the strong women in his life, his mother Khathie and grandmother Ntombizodwa, and the brothers he never had. He struck gold in the former in that throughout his upbringing, which straddled New Brighton and the so-called coloured area Gelvandale, where he went to school and formed lifelong friendships with other sportsmen like former SA sprinter Lee-Roy Newton and Proteas batsman Ashwell Prince he found men who gave him that. Said men included current Bok coach Allister Coetzee, who was his PT and Afrikaans teacher in primary school and wrote the foreword to the book, Melvin Li Choo, the father of his best mate at school, Yenlee, his drama teacher Michael Barry and his first rugby coach Randall Martin, who introduced him to the sport at the ripe old age of 16 and saw him become a Bok just six years later. The relationship with the Li Choos tells you everything about what the so-called New South Africa could be in that as Chinese immigrants they basically took in Manana in his teens and treated him as one of their own, no questions asked. Where he wasn’t so lucky was his friendship with an older African Bombers teammate, Lungile “Sticks” Orie, who happened to be a known drug lord and sought to capitalise on Manana’s gullibility and vulnerability. Orie very nearly got Manana arrested when he was already a Springbok by asking him to go pick up a package for him and, when he and another runner were stopped, it turned out they were transporting a stash of mandrax. There are interesting discoveries in the book, like the fact that in choosing rugby Manana had to leave drama, which he was considered to be a natural at. That said, it would make sense for anyone who has heard him on Room Dividers on Metro FM that he’s always had a dramatic bent to him. Some of the anecdotes are as bolshy as they are funny. Manana, who was always too big and tall for his age, when he got it into his head that he would be the world’s tallest wicketkeeper he paid former Proteas wicketkeeper Dave Richardson’s house, told him what a big fan he was and left with Richardson’s gloves. In writing the book, Mjikeliso has successfully captured Manana typically forthright, if not forceful, manner of speaking and managed to infuse it with the three languages his subject is so comfortable in, Xhosa, English and Afrikaans. You can just about see Manana warm to his task, and about the only thing missing was the table-thumping and Manana calling everyone “Pa” as he is wont to do.